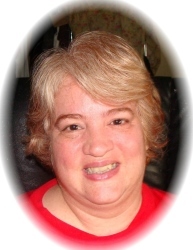 Dannielle M. Lewis, age 52 of Flovilla, Georgia passed away Tuesday, November 6, 2018 at Navicent Health Care Center of Central Georgia in Macon. Dannielle was born in Newbury Port, Massachusetts on March 16, 1966. She was a loving wife, mother, daughter and sister. Dannielle was a youth minister for the Sacred Heart Catholic Church of Griffin and a member of Jackson Christian Home Educators Group. Survivors include her husband, William “Bill” Lewis; son, Jeffrey Lewis of Macon; daughters, Patricia “Trish” (Jacob) Heard of Concord and Sarah Lewis of Flovilla; parents, Richard and Patricia Cloutier; brother, Richard J. Cloutier, Jr. and one nephew. A visitation for Dannielle M. Lewis will be Thursday, November 8, 2018, 6-8 pm at Conner-Westbury Funeral Home. A Funeral Mass will be conducted on Friday, November 9, 2018 at 2:00 pm at St. Mary’s Mother of God Catholic Church, 359 Old Griffin Road, Jackson, GA. 30233. Fr. Jose Kochuparampil will officiate. Interment will follow at Oak Hill Cemetery in Griffin. In lieu of flowers, the family would like for you to consider contributing to the National Adrenal Diseases Foundation (NADF) in Dannielle Lewis’s honor.